Working Student Program – Equine Partners, Inc.
Ready to accelerate your horsemanship journey? The EPI Working Student program exposes you to all aspects of ranch management and caring for horses, donkeys, and (very friendly) pigs. The program provides an opportunity to learn and practice a wide variety of skills and strategies as you participate in the day-to-day operations of a working ranch. Our working students learn horse-keeping from a natural perspective that respects equine psychology and priorities and results in happy, confident, contented horses. 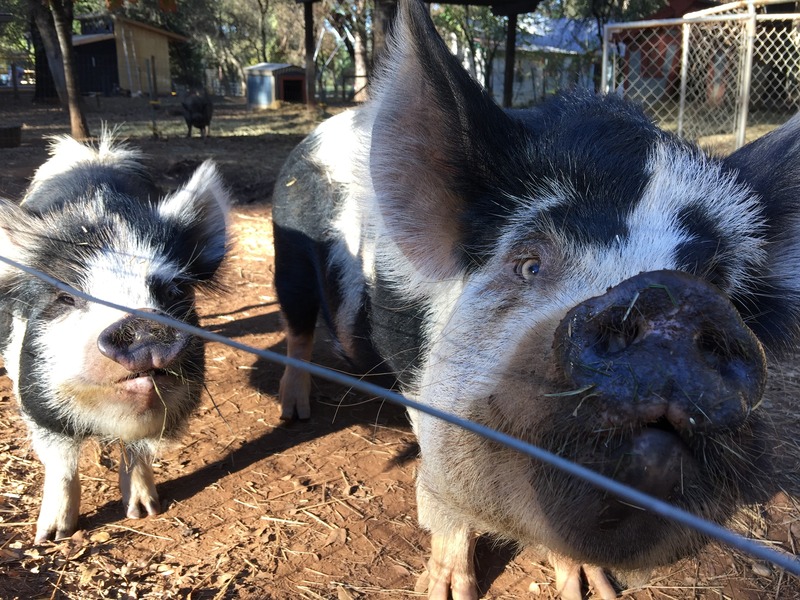 You’ll also care for our special Kunekune pigs, as the Hakune Matata Pig Farm is located on premises. Working student duties may vary to give students a chance to be involved in all aspects of professional ranch management. No previous horse experience is necessary for working students — this is an opportunity to learn, and we will teach and support you! 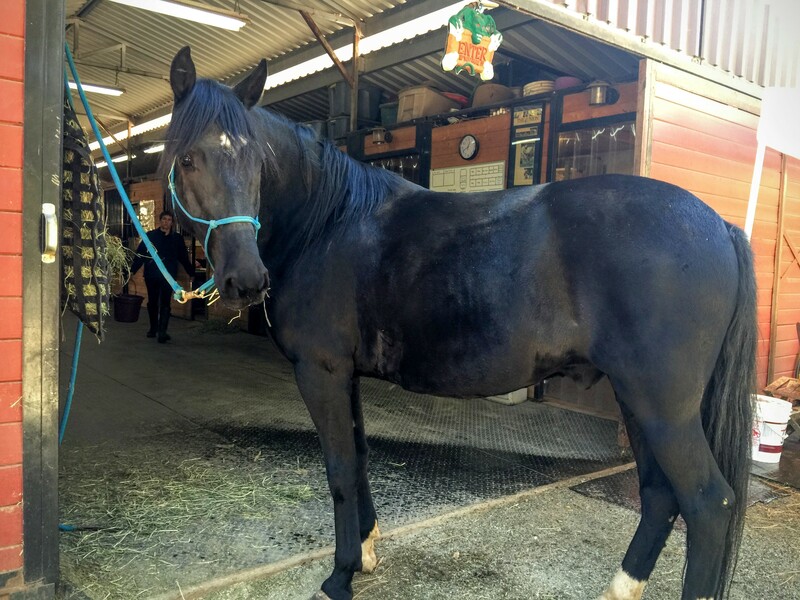 More advanced students have the opportunity for more advanced horse-handling responsibilities. I am tending my ‘horse poo zen gardens’ about four times a week, and it’s been the best thing I have done for myself in a long while. I have always loved horses, and being around them again, and learning natural horsemanship has been such a blessing. I am this happy little girl again and super excited every time I see them. Remove cobwebs from horse shelters, pig houses, tack rooms, etc. Maintain fly traps, fly predators, etc. Hold horses for the vet, dentist, body worker, farrier, etc. Working students earn credit toward lessons or horse development. Credit is transferable with approval from EPI. Our working students also report that they get into very good shape “doing the job” — why pay for a gym membership when you could be feeding, watering, and cleaning up after horses in the great outdoors? Working students must be at least 18 years old and have reliable transportation. Most of the responsibilities require physical labor such as lifting hay into and out of bins, scooping manure, pushing and dumping wheelbarrows, leading and tying horses, and lots of walking. Save on gym fees and come clean paddocks (translation, scoop manure). Really, it’s very Zen and builds your core! In exchange you can have the chance to learn an amazing way of being with horses. It’s so different than what I learned as a kid! It’s more than just riding, it’s a relationship. I started cleaning the bathroom and break room, now I feed/clean horses/fix things/rake leaves/hold horses for the farrier/ etc, etc. I’ve done almost everything on the working student list. People just need to know it can be hard and at times yucky work, and you need to be as reliable as you can be, but the rewards can be awesome! Please email Erin at equinepartnersinc@gmail.com or call (530) 559-1602 for more information about how you can get involved.